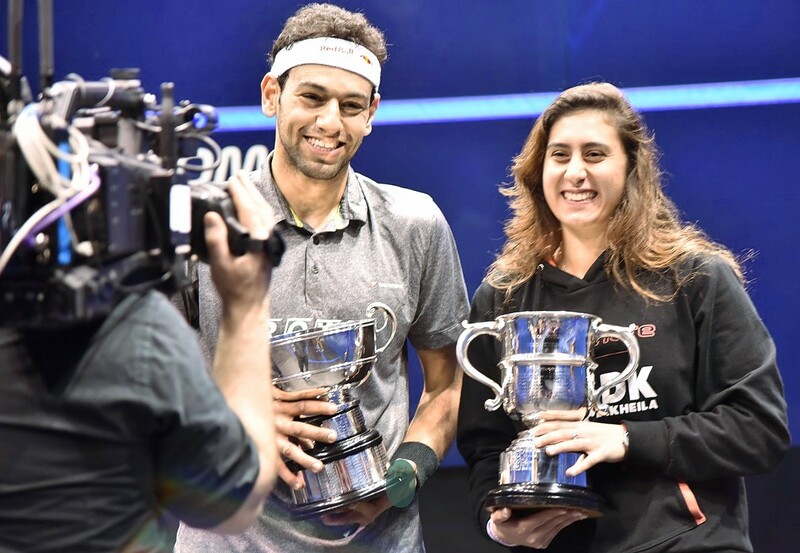 Women’s World No.5 Nour El Sherbini and Men’s defending champion Mohamed Elshorbagy have captured the 2016 Allam British Open, PSA World Series, titles after respective victories over fellow Egyptians Nouran Gohar and Ramy Ashour in Hull’s Airco Arena – with El Sherbini becoming the first female Egyptian to lift the coveted title. 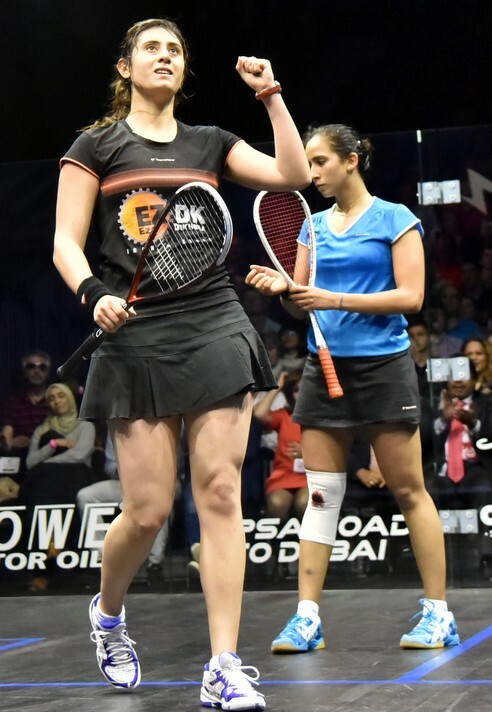 El Sherbini’s match with Gohar saw the lead change hands multiple times throughout the 75-minute encounter with both players trading points with gusto in a tightly-contested and highly-charged battle. 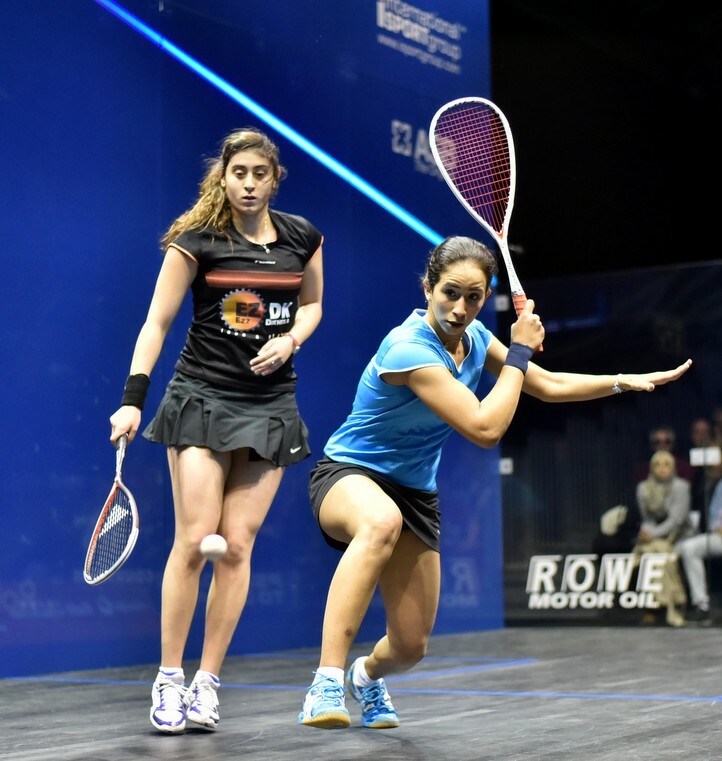 El Sherbini eased to the opening game before Gohar, playing with a maturity that belied her youth, fought back to go a game ahead and put herself within touching distance of the famous crown. But El Sherbini came back at her and showcased the credentials that has seen her surge to the upper echelons of the Women’s game, taking the match 11-7, 9-11, 7-11, 11-6, 11-8 to become the tournament’s second youngest winner at just 20 years of age after New Zealand’s Susan Devoy in 1984. 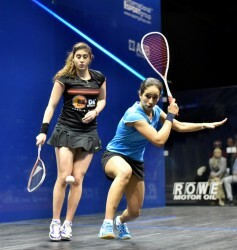 “It was a really tough match,” said El Sherbini. 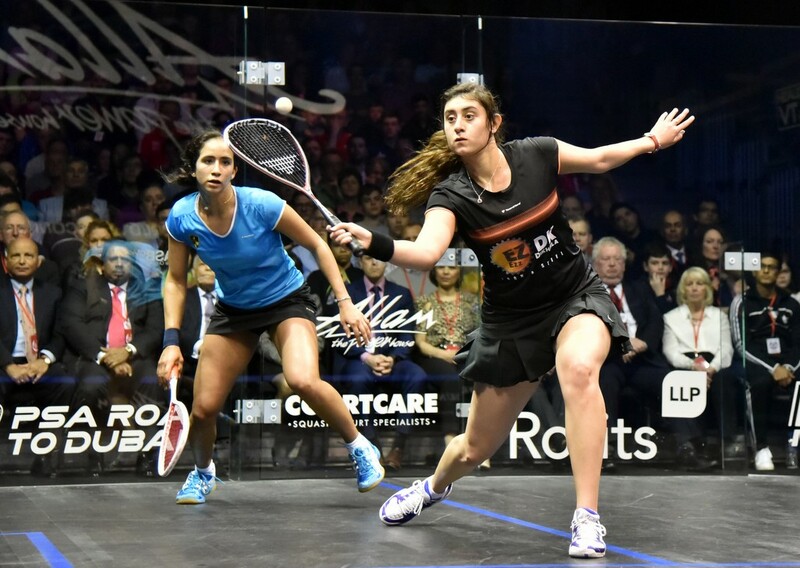 “Nouran is just 18 and she brought out all of the squash I had today. 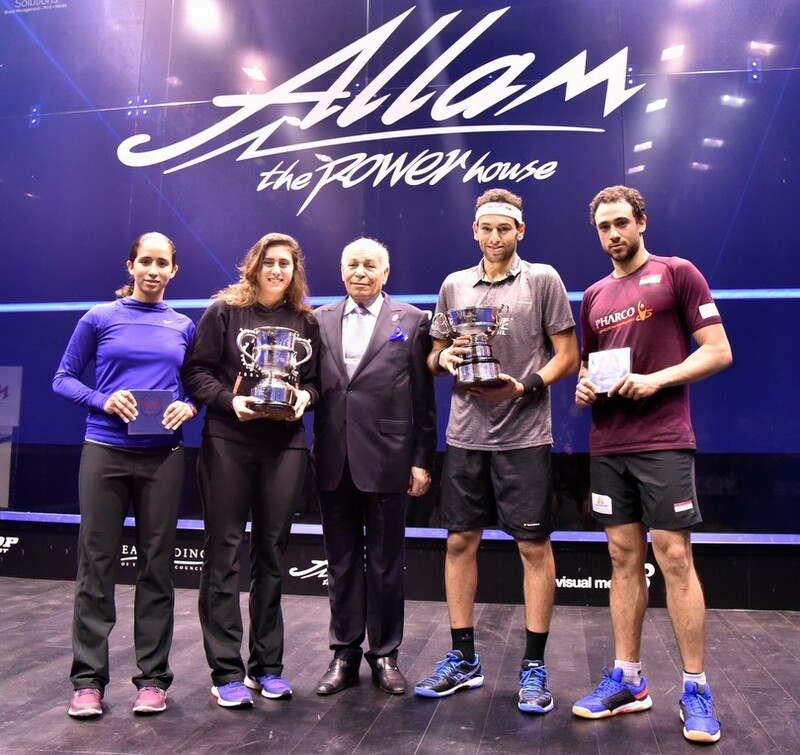 I really had to do all I could to win, it was really close. The last two points were really hard, I’m speechless. 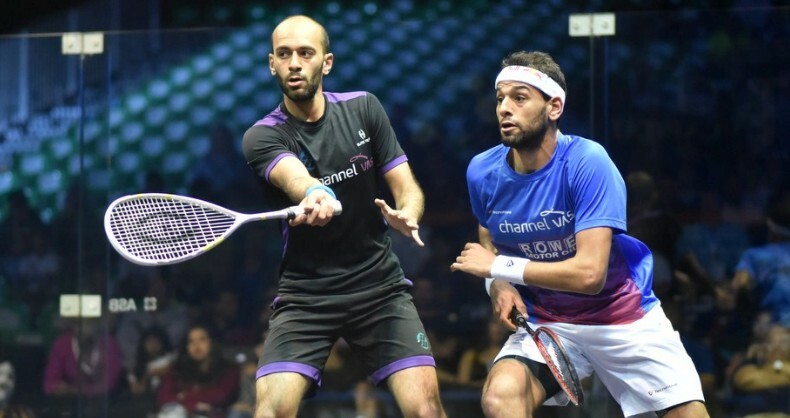 Meanwhile, Elshorbagy has made it five World Series titles in a row after a strong display saw him end a four-match winless streak against fierce rival Ashour. 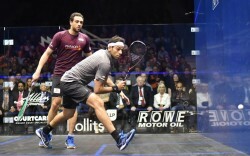 The man from Alexandria was in fine fettle against 2013 winner Ashour, whose movement looked inhibited, and powered to victory in the first two games before seeing off a resurgent Ashour in the third to close out an 11-2, 11-5, 11-9 triumph. “I’m really happy to be able to defend my title and win my second British Open,” said Elshorbagy. 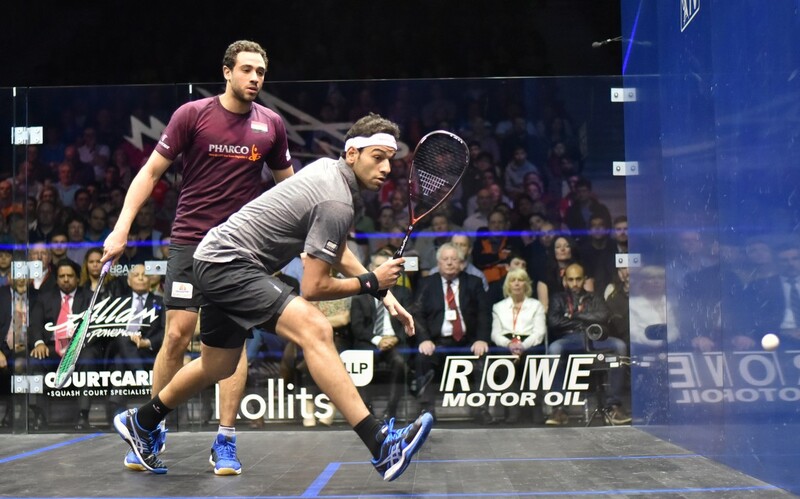 “It’s been a crazy season for me. 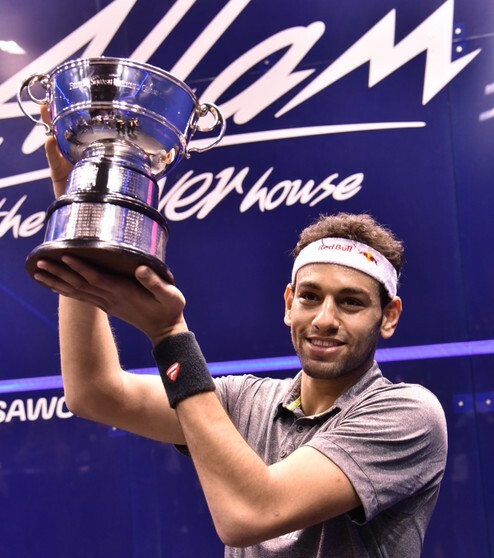 Last season, when I won four World Series titles, I was telling my mother and my brother that I didn’t know how I was going to keep up with that next season but I’ve won five already so this is a dream for me. 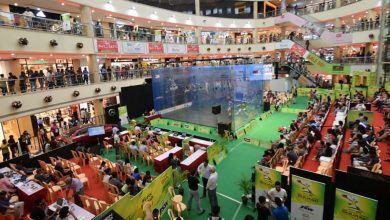 I’m just really proud of what I have been achieving this season.